Just Reduced! 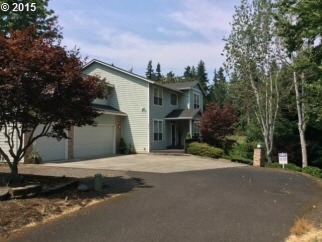 5BR / 2.5BA / 3767SF Great Schools! Beautiful Felida traditional w/5-6 bedrooms Great for working from home, guests or multiple generations. Luxurious master w/jetted tub,2-sinks,walk-in closet & shower.Beautiful refinished maple hardwoods entry thru kit, w/maple cabs in island kit, eating nook & family rm w/FP & slider.3 family rms - 1 on each level. Huge wrap-around deck, just in time for BBQs! On private road w/ Greenbelt on 2 sides. Great schools.